The renowned Warner Bros group, in collaboration with experienced TT Games developers, has prepared a delightful surprise for all movie buffs. The LEGO Movie is based on the newly released animated film with which it shares its name. This much-anticipated project has all the features of a soon-to-be successful hit. It will appear on all gaming platforms simultaneously, making it easily accessible to gamers all over the world no matter what console they have. The main character is called Emmet and there's nothing at all interesting about him. However, he unexpectedly finds himself at the right place at the right time. From that moment on, everyone else thinks he's basically the only hero who can save the world. Even Batman is there for him, waiting at his beck and call. Under his leadership, a group of real action heroes embarks on a mad journey that is supposed to lead to the destruction of the evil tyrant. The game's environment is built entirely using LEGO blocks, and after you've managed to find the map you can even start working on your own construction. This unusual collection of over ninety film and comic heroes is not something you'll see every day. The generous dose of humour does not stop at anything and will take on any rival. The authentic animation of the LEGO toy movements is also fun to watch. With a total of 15 fantastic levels and the possibility of cooperative multiplayer mode, this game is one that you just have to try out. EN , DE , PL , FR , ES , IT Done! EN , DE , FR , ES , IT Done! 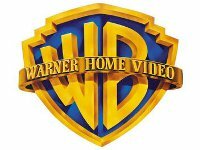 Warner Bros is an American media company producing films, music and computer games. Founded in 1924 by four brothers (hence its original name, Warner Brothers), it carries out its activities mainly through its long list of subsidiaries. Among the most important are DC Entertainment (Comics such as Superman and Batman) and New Line Cinema (Lord of the Rings and The Hobbit). The company is controlled by Time Warner. The most commercially successful achievements of Warner Bros include The Dark Knight, Harry Potter and the Lord of the Rings. For shipping to other EU countries visit this page LEGO Movie Videogame - Xbox 360. Für Versand nach Deutschland, besuchen Sie bitte LEGO Movie Videogame - Xbox 360. Chcete doručit zboží do Česka? Prohlédněte si LEGO Movie Videogame - Xbox 360. Chcete doručiť tovar na Slovensko? Prezrite si Xbox 360 - LEGO Movie Videogame. Für Versand nach Österreich, besuchen Sie bitte LEGO Movie Videogame - Xbox 360. Magyarországra történő kiszállításért tekintse meg ezt a termékoldalt: LEGO Movie Videogame - Xbox 360.